Certikin 1.7"/43mm ladders are now supplied with stainless steel anti-slip treads as standard, as well as the new Certikin 1.7"/43mm pinch anchor. The pinch anchor design is based on the popular 1.5"/38mm model for a secure, sturdy installation on all types of pool surround. All 1.7"/43mm ladders are now manufactured in 316 grade stainless steel as standard. liner pools. Also comes with a double top stop for added safety. 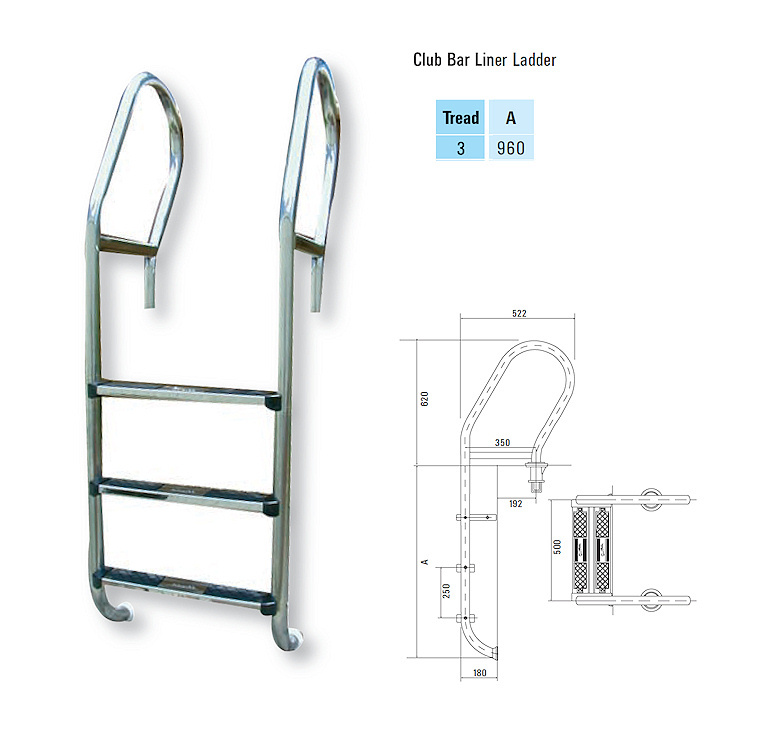 Available in 3 tread only at present - Please note that these ladders incorporate the double safety top tread.